Risa is a professional, detail oriented, creative problem solver. She becomes her clients’ advocate, and the liaison between them and the other service providers who may be part of the transaction. She makes herself available to answer her clients’ questions, and keeps them informed each step of the way. As part of Risa’s commitment to service, she is a volunteer mediator with Community Boards, a San Francisco organization dedicated to empowering residents with the skills and resources needed to help resolve conflict. She is also a long term Board member with her Ski Club. In her free time you can find her enjoying the moment with friends, usually followed by a good meal! Loves to play tennis and golf. 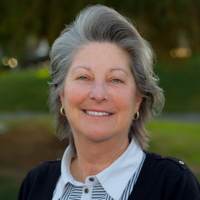 Risa is licensed with the DRE and NMLS, and is a member of SFBOR, CAMB, and NAMB.